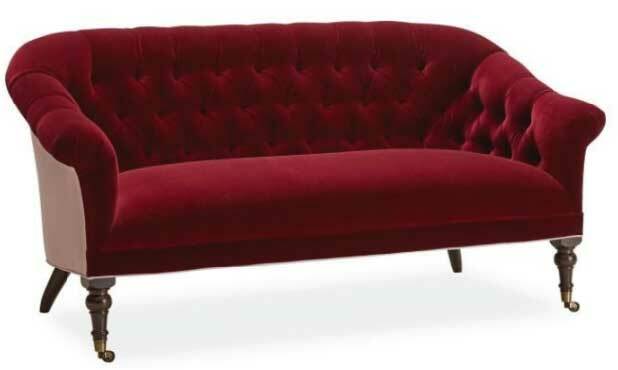 In honor of Valentine's Day, we're taking a long, lingering look at love seats. As with sweethearts, “all love seats are not created equal,” says interior designer Bill Barr of Surroundings Home. There are many things to consider before taking one home with you. Given the vast array of seating on the market, a definition may be in order. 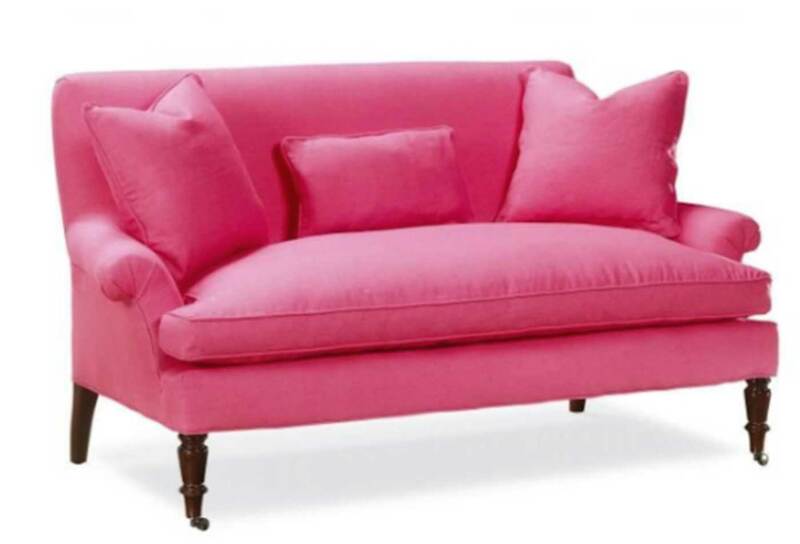 A love seat is a small-scale sofa built for two, which, typically, says Barr, measures 54 inches to 68 inches wide. “Anything smaller is a chair and a half; anything larger is an apartment-sized sofa.” Settees, while kissing cousins, are more formal and upright than love seats, and tend to sit higher up. As Surroundings Home operates as both a retailer showcasing LEE Industries custom furniture and as an interior design service (enter Bill Barr), it was just the shop to query on what to look for in a love seat. Surroundings Home helps clients customize their furnishings every day, deciding on everything from the legs (tapered, fabric wrapped or turned?) to the cushions. While Lee offers thousands of upholstery choices, Barr can also work with clients who’d like to supply their own fabrics. When considering the back of your love seat, think about when you’ll be using it. “A ‘tight back’ love seat is perfect in a living room—or anywhere you want a firmer, upright sit,” says Barr. It’s a great piece for cocktailing and for book group. If you’re hoping to sink into your love seat, look for a ‘loose back’ with cushions that are not attached. “This style affords a cozier sit,” maintains Barr. You can lean back into it to relax, watch a movie or curl up with a book. For the arms of your love seat, think about how you’d like the piece to perform. A high arm will hold you in and support you, but if it’s too high, it will be hard to reach that magazine or glass of wine on your side table. Opt for a ‘rolled’ or ‘saddle’ arm if you’d like it to cradle your head when you lie down or if you’re a fan of traditional décor. English arms are also worth exploring, and strike a classic silhouette. However, “if you want your space to feel transitional or contemporary,” advises Barr, select a sleek ‘track arm,’” which is square and straight-lined. Scale is the single largest mistake when choosing new upholstered items, warns Barr—so measure your space twice. “Love seats and sofas almost always look smaller in a showroom.” When measuring, be sure to check your available depth as well as width. You want to make sure you have room for what you’re buying—and that it’s a match made in heaven.